*Note: This is a European version of the Doro set and ONLY comes with a EUROPEAN style wall plug. This plug will NOT work with U.S. style outlets. An additional adapter may be purchased (Sold Separately) in order to get this device working with a U.S. plug. 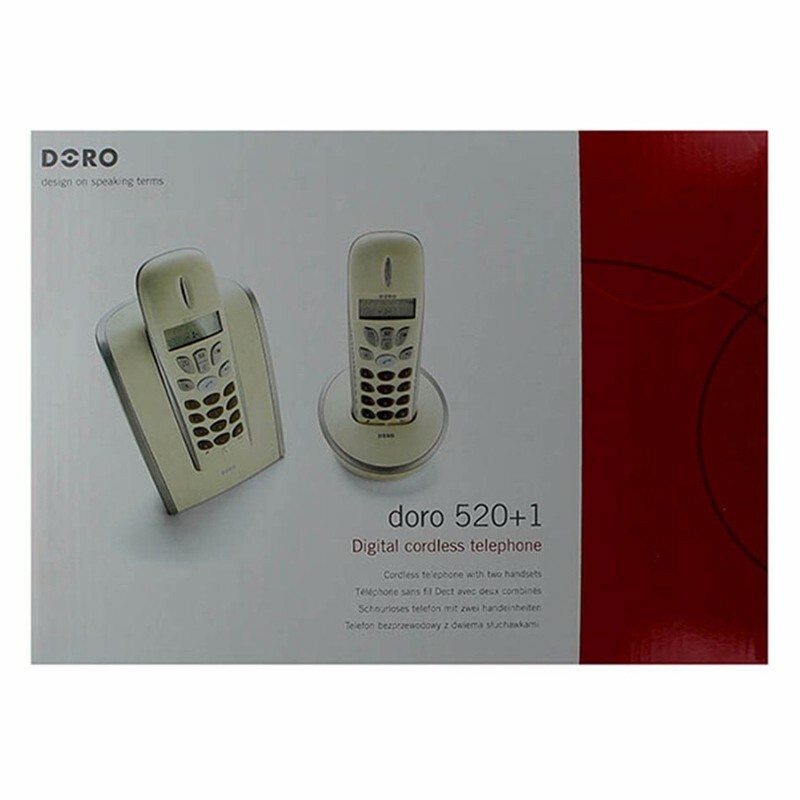 Doro brand, 520+1 Digital Cordlesss European* Home Telephone Handset. "Granite" Version (Black and Silver). 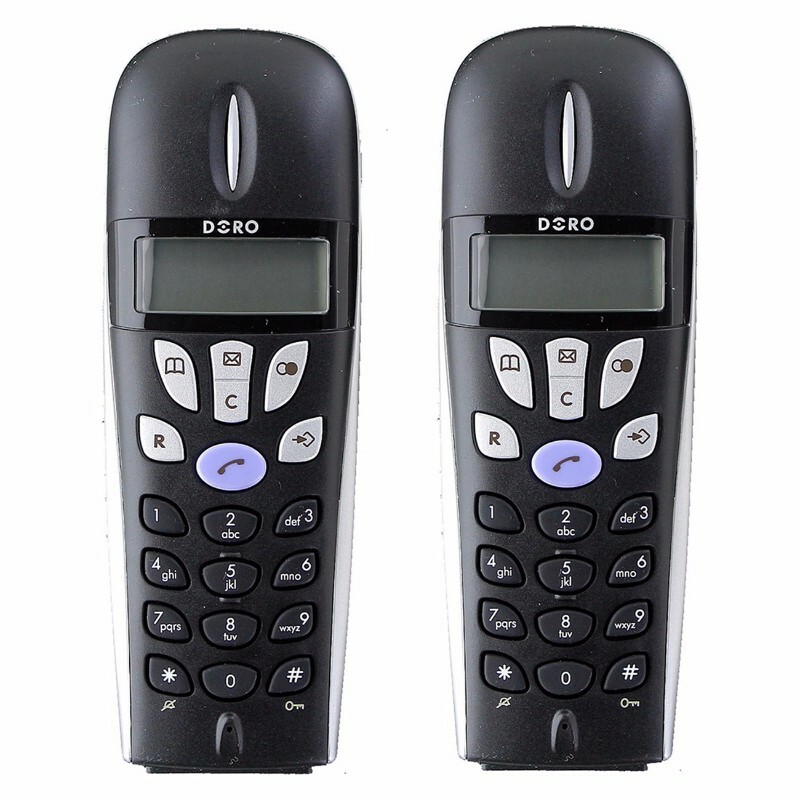 Cordless telephone with two handsets. Wall mountable. 6 ring melodies. 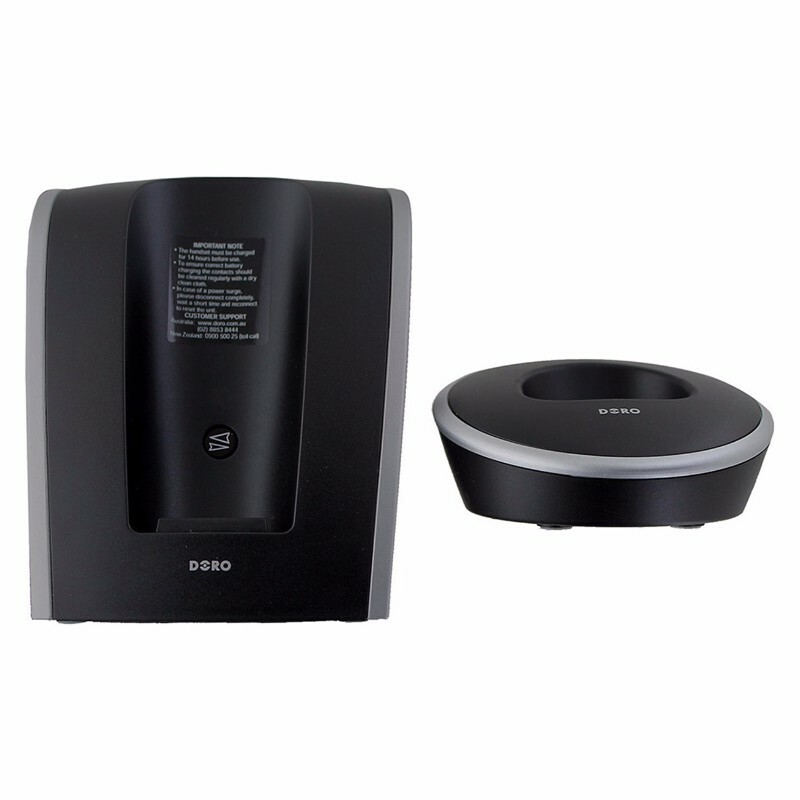 Range of up to 300 meters outdoors and 50 meters indoors. Up to 10 hours of talk time.